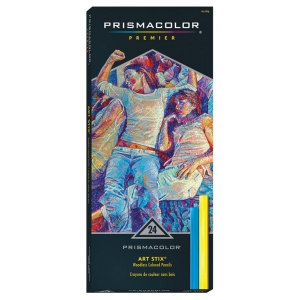 Prismacolor® pencil lead formula in a broad stroke medium. * Leads are soft and thick for easy blending and shading. * Smooth color laydown won’t scratch or smear. * Lightfast and moisture-proof never need sharpening. * Create broad strokes thin strokes and everything in between.